Football season is back! While everyone around here gets excited about our very own New England Patriots, Boston College puts on quite an impressive game day as well. Located about 9 miles from The Lenox, Alumni Stadium and Conte Forum are sure to fulfill all your college game day needs. If you’re headed to a Boston College football game, you’re headed to Alumni Stadium. If hockey is more your thing, Conte Forum is calling your name. Confused about how to get there or where to grab a bite? Don’t worry, we’ve got you covered! If you happen to be going to the BC football game on November 18, you will be headed to Fenway Park, which is just steps down the street from The Lenox! Here is more information about this unique game day experience. 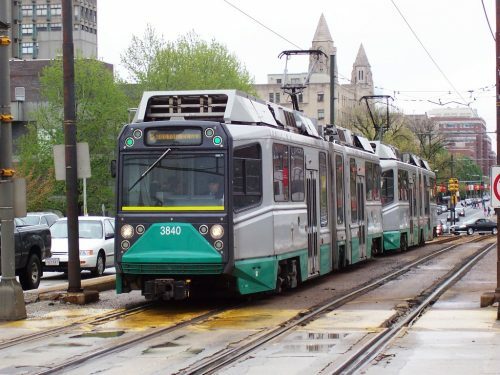 If you are taking public transportation, you can take the Green Line all the way! Not only is this a simple and convenient way to avoid traffic, but we have a T station within steps of our hotel. Walk out the door of The Lenox and walk about 2 minutes to the Copley station (make sure it’s outbound)! Wait for the B line “Boston College” train and take it all the way to the Boston College stop. From there, Alumni Stadium and Conte Forum are only about 7-minute walk. You can also take the D Line to Reservoir or the C Line to Cleveland Circle. Boston College provides shuttle busses to the stadium and arena on game days from Cleveland Circle, so you won’t have to worry about directions once you get off the T.
Game day is always quite crowded and parking can be tough, so it’s probably best to avoid driving if possible. However, if you are driving to either Alumni Stadium or Conte Forum, the fastest route to get there would be I-90 W, which you can get to through Exeter Street (the street outside The Lenox). From there, you would take Exit 17 from I-90 W to Washington Street in Newton. Take a right onto Park Street, a left onto Tremont Street, and then a right on Waverly Avenue to turn left onto Ward Street and then Hammond Street. Once you get to Hammond Street, take a left onto Beacon Street, and you have arrived at Conte Forum. To arrive at Alumni Stadium, continue on Beacon Street and then take another left onto House Road. If you’re looking for a true dive-bar and college bar experience before or after the game, Mary Ann’s is the place to go. Serving cheap beer, this place is always packed and is sure to make you feel like you’re in college again. Cityside is also a great place to go. They have a nice roof deck that is open through most of the fall, so be sure to check it out while you still can this season. 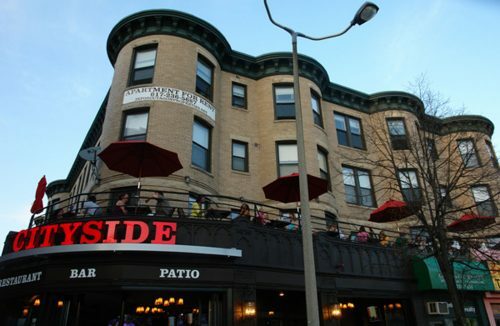 Cityside offers up delicious sandwiches and appetizers, not to mention a good beer selection! This is definitely a great place if you’re looking for a more laid-back spot to enjoy. 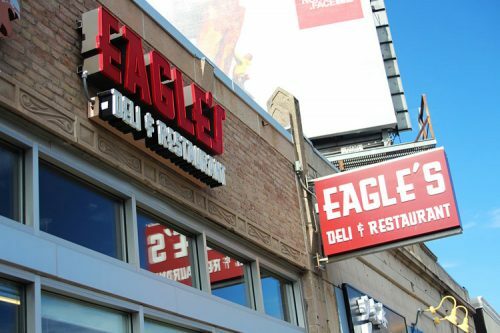 Eagle’s Deli is another popular campus spot and a perfect pick if you’re looking for something quick and casual – but still delicious! You’ll be sure to find lots of burgers, sandwiches, hotdogs, and more “game day food” if you make a stop at Eagle’s. 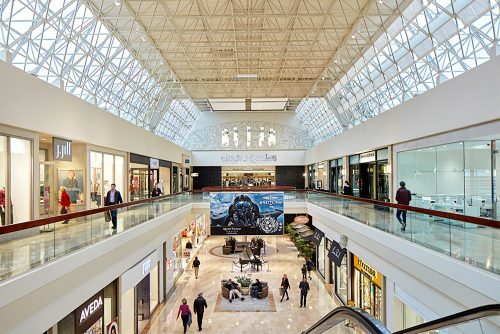 If you find yourself wanting to do more than just eat and drink before the game, the Chestnut Hill area also has some great shopping! Kate Spade, Brooks Brothers, and Lush are just a few of the many shops they have. Hopefully our guide gives you a better idea on how to make the most of your Boston College game day!